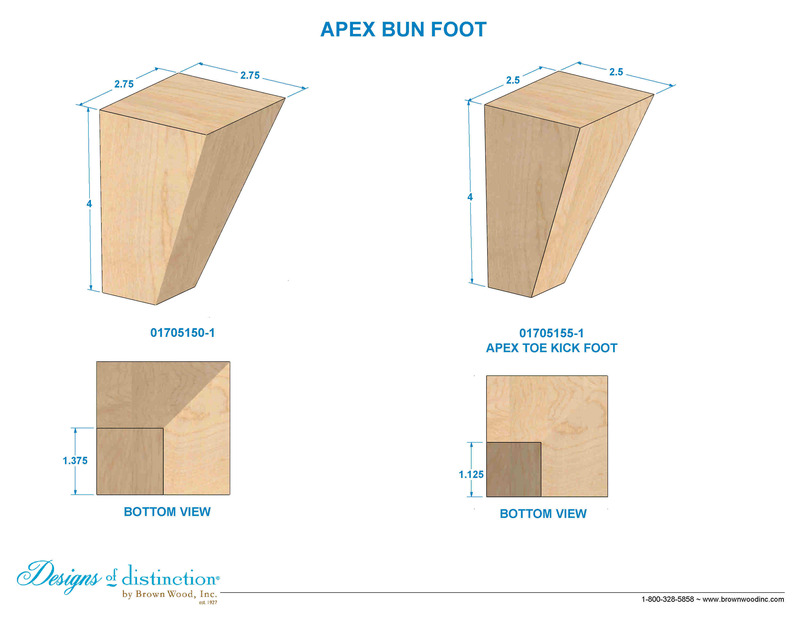 Customize the Apex Bun Foot by choosing an Add-On below. Refined, modern, and minimalist, the Apex Bun Foot adds just the right amount of detail to your chosen furniture piece. Finish, update, or repurpose your cabinets, seating, chests, or bed frames using the simple, tapered Apex Bun Foot. Establish a theme using all wood components from the Pinnacle Collection. Matching components available in the Pinnacle Collection.